When it comes to plumbing disasters, a few can compare to the headache of sewer damage. 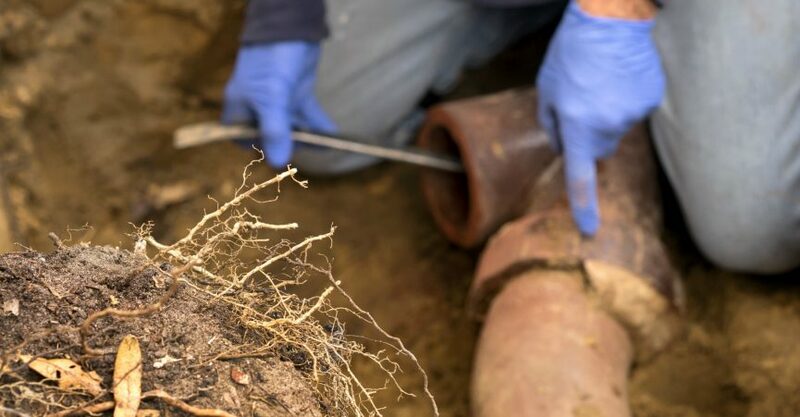 A clogged or collapsed sewer line usually means your plumbing system is out of order until you can undertake expensive and disruptive excavation and repair. But what if there were a better way? Trenchless sewer repair offers the solution of an intact and functioning sewer without the expense and hassle of excavation. Here we look at what trenchless sewer repair is and what the benefits are for your home and plumbing system. Trenchless sewer repair is a method of repairing and replacing sewer lines without the need for excavation (or digging a trench). Because you cannot see sewer lines that are underground, it’s usually necessary to dig up your yard to access the sewer pipes just to see what the problem is. Having to repair the sewer line is often expensive, as you must pay for the excavation, sewer repair, the rehabilitation of your yard, and driveway or structures. Trenchless sewer repair avoids all this trouble by using advanced technology to repair your sewer through nothing more than one or two small access holes. Here’s how it works. The first step will usually be a sewer camera inspection. 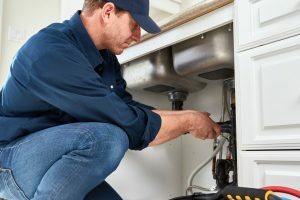 By allowing your plumbing technician to get a distinct look at what’s going on inside your sewer pipes will provide you to get a look at your sewer problem, so you can check that all the repairs and costs are justified. Pipe lining is a trenchless repair process that usually only requires one access hole and works for minor damage. A flexible, resin-coated tube is blown or pulled into the damaged pipe and inflated to the correct shape. Once in place, it is then cured, and the resin hardens. As this creates a tube within your existing damaged pipe, that narrows the former diameter of your sewer by about one fourth of an inch. But, your new pipe will successfully transport sewage and be corrosion resistant, offering an ideal alternative to excavation. If the lateral pipe has collapsed, pipelining might not be useful. In this case, if you can drag a cable through an old pipe, then you can still use the trenchless method pipe bursting. In pipe bursting, a new tube is pulled through the old pipe, while at the same time it ‘bursts’ the old pipe outward. >>Want to Know When Your Main Sewer Line is Clogged? These 3 Warning Signs Will Help You Identify The Problem! Faster – Trenchless sewer repairs usually take less than a day or two, compared to excavation which can take weeks. More Cost Effective – Trenchless sewer repair can cost up to 30 to 50% more for the actual adjustment, but when costs for excavation, landscaping, and rehabilitation are considered, trenchless repair is much more cost-effective. Less Intrusive – Excavation means ruining your lawn and driveway and possibly disturbing structures like garages that are in the way. You may even have to pay to redirect traffic from your street while undertaking excavation. Efficiency – Speed and effectiveness of services save you time, money, and hassle. Trenchless technology has so many advantages over traditional methods, after all, who wants to dig up their yard? Make it a priority to find out if the trenchless repair will work for you if you’re facing sewer damage.